What is the difference between the TK-12 Home School program and the Independent Study High School program? TK-12 Home School students are taught by their parent or guardian with credentialed teacher support. Independent Study students complete classes and assignments online. Students also meet with their teacher on a regular basis for personalized instruction. 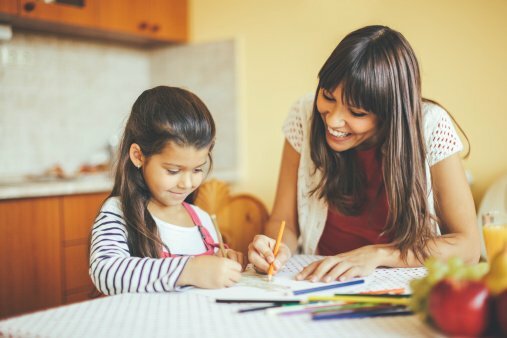 How can my student finish high school at home? Independent Study students complete classes, classwork, and exams online with their teacher’s support. Teacher meetings are conducted in public places (coffee shops, libraries, etc.) but for the most part, students complete school assignments at home. What if my student dropped out of high school? Students who dropped out of high school may apply provided they are under the age of nineteen (19) at the time of enrollment. For more information, please contact our enrollment team. How does Independent study work? Independent Study students complete classes and classwork from a standards-based curriculum through our online system with support from a teacher in their area. Students are responsible for completing assignments weekly on their own time, to meet with their teacher every other week, and to contact the teacher for further support. Counselors meet with students to offer support and to ensure students are on track to graduate. If my student is credit deficient can he make up multiple credits? Visions offers students multiple credit recovery opportunities, including summer school for those who need it. Students work with their counselor/teacher to come up with a Personalized Learning Plan (PLP) that fits their educational needs and goals. Can my student take college courses while enrolled in Visions? Yes! Our Advanced Education Program (AEP) allows qualified students to take community college courses on top of their high school coursework. Students may take core courses, elective or technical education courses. In many instances, we help cover the costs of these classes (registration and textbooks) while enrolled. For more information, see our Support Services page. Are Career and Technical Education (CTE) courses (also called ROP) available? Visions In Education partners with school districts throughout our service area to offer Career Technical Education (CTE) classes. Visions students receive hands-on occupational and technical training in a wide variety of fields, including automotive mechanics, computer networking, careers with children, CAD (computer-assisted design/drafting), medical, and many more. For more information, please see our Support Services page. Can my student work while attending Visions? Independent Study provides a flexible option for students looking to work and earn their diploma. Students with good attendance and in good academic standing may apply for a work permit through Visions In Education. Does Visions offer high school dances and other social opportunities? Visions students enjoy all the social opportunities other high school students have and many more. These include dances, athletic events, and extracurricular writing classes. Activities vary by academy, but all students are given opportunities to socialize and make new friends. This will depend on the student’s unique circumstance and personalized educational plan developed with the student’s counselor. Students must receive approval from their Principal to ensure early graduation. Can my student take driver’s education classes? How can students be successful in the Independent Study program? Learn about what it takes to succeed at Visions here.